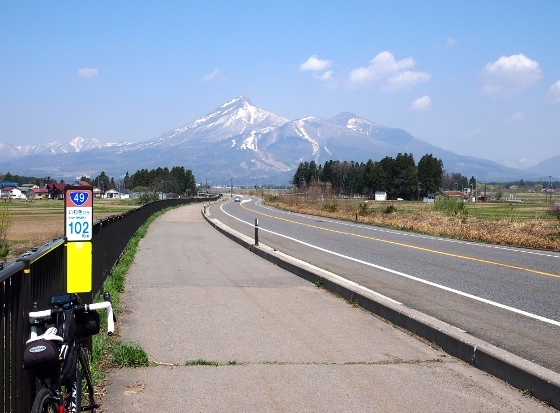 Today, I visited Nicchusen Memorial cycling and pedestrian road in Kitakata City, Fukushima. 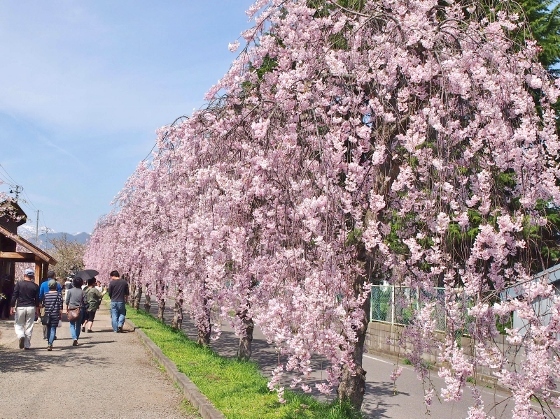 There were marvelous weeping cherry trees along the road which extends more than 1km. On the way to the site I could see splendid views of Mt. Bandai and Iide Mountain Range. 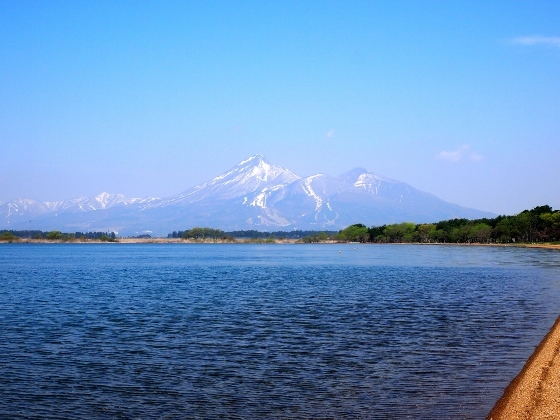 Above photo is an amazing view of Lake Inawashiro with the background of Mt, Bandai from Shidahama Beach. Above photo is another splendid view of Mt. Bandai from National Route 49. 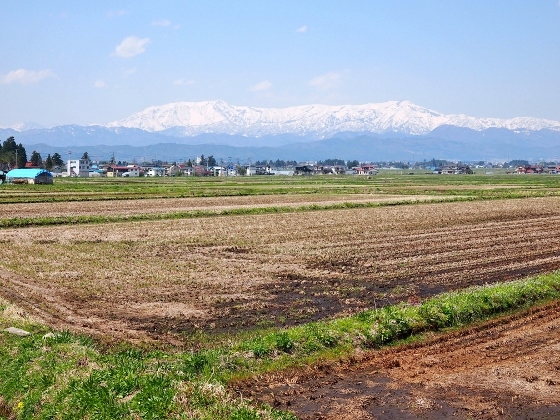 And above photo is a superb view of Iide Mountain Range from Shiokawa District of Kitakata City. 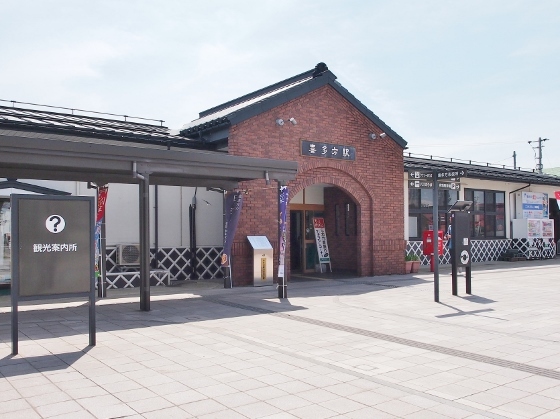 I finally got to the center of Kitakata City and there was JR Kitakata Station as shown above. Look at this! This is a kura building. 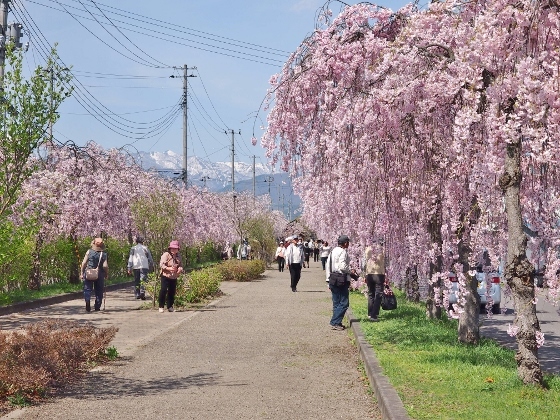 Kitakata City is famous for its traditional kura buildings. The Nicchusen Memorial cycling and pedestrian road starts at several minute walk from the station. 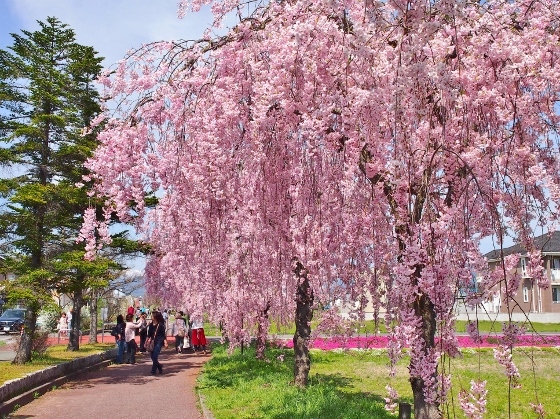 Above photos are today's views of marvelous weeping cherry trees along the Nicchusen Memorial cycling and pedestrian road. 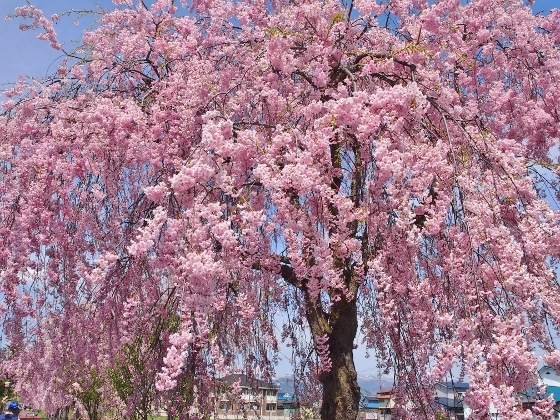 They were in the peak of full bloom. 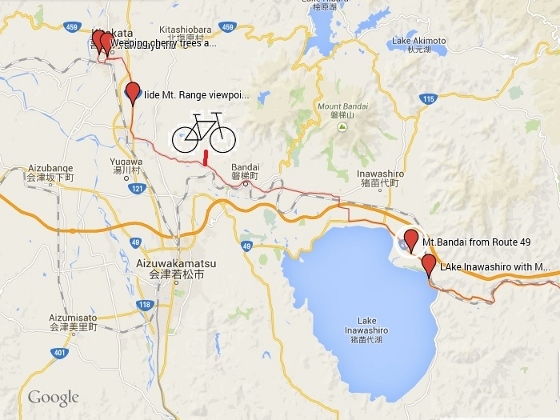 Today I stayed at Tawaraya Inn near the Nicchusen Memorial road as shown above. 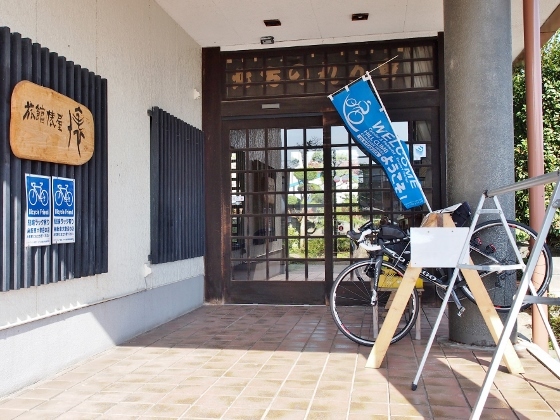 This inn offers special discount rate for customers by bicycles. It was a clean and comfortable inn.